VJ Books Presents Author Matthew Reilly! Matthew Reilly was born in Syndey, Australia in 1974. He grew up in Willoughby and graduated from the University of New South Wales with a degree in law. Reilly wrote his first novel, Contest (1996) at the age of 19, after being rejected by the major publishers in Australia, he eventually decided to self-publish it and sold it to individual booksellers in Sydney. After falling into the hands of an editor at Pan Macmillan, book led to his being signed for two new books, which would form the beginning the Shane Schofield series. 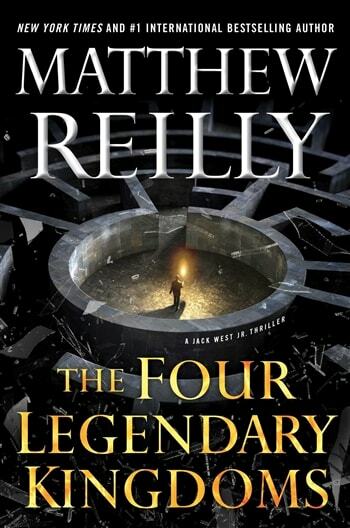 Today, Reilly's books are international bestsellers, having sold over 7 million copies. 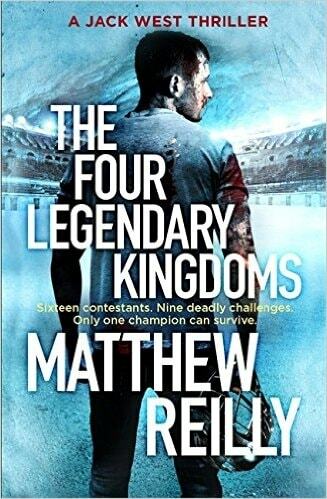 You can find Matthew Reilly signed books below this author biography. Reilly's non-literary career includes having served on the Australian government's Public Lending Right and Educational Lending Right Committee from 2007 through 2011. He also often speaks at libraries in Australia and around the world. He currently lives in Los Angeles. Author Signed Hardcover Book. January 2010 NY: Simon & Schuster First edition, first printing, mint, new/unread in a flawless dust jacket, signed by the author. Each dust jacket is protected in an acid-free archival quality acetate cover. Author Signed Hardcover Book. January 2010 NY: Simon & Schuster First edition, first printing, fine in a fine dust jacket, signed by the author, remainder marked. Each dust jacket is protected in an acid-free archival quality acetate cover. Author Signed Hardcover Book. January 2008 NY: Simon & Schuster First edition, first printing, mint, new/unread in a flawless dust jacket, signed by the author. Each dust jacket is protected in an acid-free archival quality acetate cover. Author Signed Hardcover Book 2008 NY: Simon & Schuster First edition, first printing, fine in a fine dust jacket, signed by the author, remainder marked. Each dust jacket is protected in an acid-free archival quality acetate cover. First Edition Hardcover Book 2008 NY: Simon & Schuster First edition, first printing, fine in a fine dust jacket, signed by the author. Each dust jacket is protected in an acid-free archival quality acetate cover. Author Signed ARC. 2005 NY: Simon & Schuster Advance reading copy, mint, new/unread in flawless pictorial wrappers, signed by the author. Author Signed Hardcover Book. 2006 NY: Simon & Schuster First edition, first printing, mint, new/unread in a flawless dust jacket, signed by the author. Each dust jacket is protected in an acid-free archival quality acetate cover. Author Signed Trade Paperback 2005 NY: Simon & Schuster First Trade Paperback edition, first printing, mint, new/unread in pictorial wraps, signed by the author. Author Signed Hardcover Book. 2006 NY: Simon & Schuster First edition, first printing, fine in a fine dust jacket, signed by the author, remainder marked. Each dust jacket is protected in an acid-free archival quality acetate cover. Author Signed Hardcover Book. 2006 NY: Simon & Schuster First edition, first printing, fine in a fine dust jacket, signed by the author. Each dust jacket is protected in an acid-free archival quality acetate cover. Author Signed Hardcover Book. 2006 NY: Simon & Schuster First edition, first printing, near-fine (minor bump to spine top) in a fine dust jacket, signed by the author. Each dust jacket is protected in an acid-free archival quality acetate cover. Author Signed Hardcover Book. May 2017 NY: Gallery Books First edition, first printing, fine in a fine dust jacket, signed by the author, remainder marked. Each dust jacket is protected in an acid-free archival quality acetate cover. Author Signed Hardcover Book. January 2015 NY: Simon & Schuster First edition, first printing, mint, new/unread in a flawless dust jacket, signed by the author. Each dust jacket is protected in an acid-free archival quality acetate cover. Author Signed Hardcover Book. January 2015 NY: Simon & Schuster First edition, first printing, fine in a fine dust jacket, signed by the author, remainder marked. Each dust jacket is protected in an acid-free archival quality acetate cover. Author Signed UK Hardcover Book. February 2015 LON: Orion First UK edition, first printing, mint, new/unread in a flawless dust jacket, signed by the author. Each dust jacket is protected in an acid-free archival quality acetate cover. Author Signed Trade Paper 2010 NY: Pocket Books Paperback edition, later printing, mint, new/unread in pictorial wraps, signed by the author. VJ Books Price $8.99 --> What is a Paperback Original? Author Signed UK Hardcover Book. 2003 LON: Macmillan First UK edition, first printing, mint. new/unread in a flawless dust jacket, signed by the author. Each dust jacket is protected in an acid-free archival quality acetate cover. Author Signed Hardcover Book. January 2012 NY: Simon & Schuster First edition, first printing, fine in a fine dust jacket, signed by the author. Each dust jacket is protected in an acid-free archival quality acetate cover. Author Signed Hardcover Book. 2008 LON: Macmillan First UK edition, first printing, mint, new/unread in a flawless dust jacket, signed by the author. Each dust jacket is protected in an acid-free archival quality acetate cover. Author Signed Hardcover Book. December 2018 NY: Gallery Books First edition, first printing, mint, new/unread in a flawless dust jacket, signed by the author. Each dust jacket is protected in an acid-free archival quality acetate cover. Author Signed UK Hardcover Book. November 2018 LON: Orion First UK edition, first printing, mint, new/unread in a flawless dust jacket, signed by author. Each dust jacket is protected in an acid-free archival quality acetate cover. Author Signed ARC. 2015 NY: Gallery Books Advance reading copy, mint, new/unread in flawless pictorial wrappers, signed by the author. Author Signed Hardcover Book July 2015 NY: Gallery Books First edition, first printing, near-fine (chip/rub to spine bottom) in a fine dust jacket, signed by the author. Each dust jacket is protected in an acid-free archival quality acetate cover.